One of Japan's longest running anime/mangas, Doraemon is loved throughout the world. 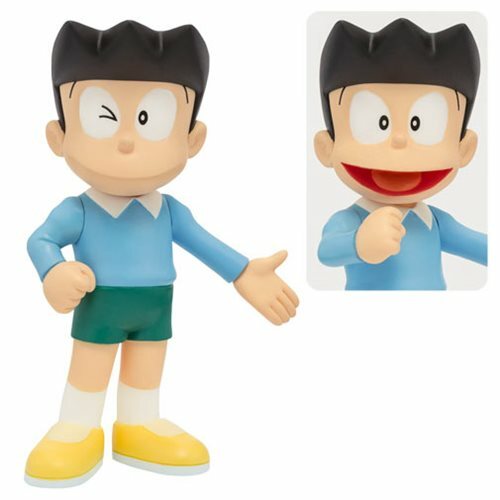 Figuarts ZERO has brought to life some of the series favorite characters over the years and are proud to announce the introduction of spoiled rich kid Honekawa Suneo. Suneo's arms and neck are articulated, allowing for simple yet charming poses. He also comes with an interchangeable expression piece in addition to his classic, and we must say it, arrogant winking expression. Ages 15 and up.